On 27 June I showed you a photo of the Wheel of Excellence and mentioned that it would be staying in Cape Town until the end of the year. Not only did the V&A manage to extend the wheel's stay until February 2011, but they've also moved it from the entrance of the Waterfront to inside, close to the amphitheatre. 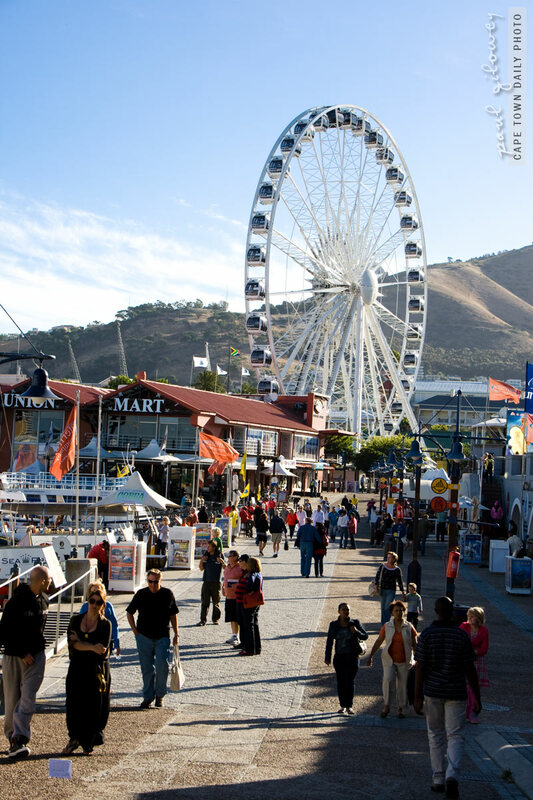 If you've ever visited the Waterfront then you'll probably have a good idea of the sights that you'll see from the new location. While awesome at any time of day, can you imagine boarding the wheel while the sun is setting? 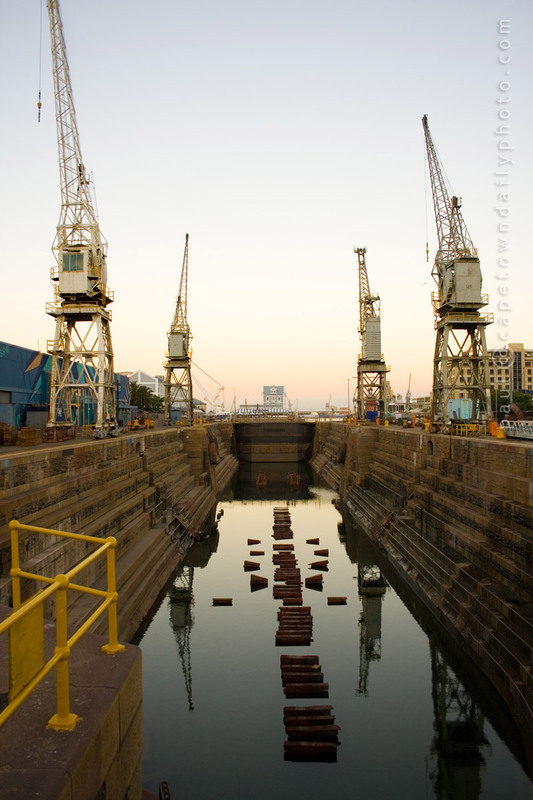 Besides the beautiful view of Table Mountain, imagine catamarans with passengers sipping wines from Stellenbosch, Constantia, and Paarl slowly motoring around the harbour, and imagine yachts with tall masts and the picturesque cranes of the Robinson Drydock silhouetted against the pink and orange skies. This really is a beautiful time of the year to be at the Waterfront. Posted in General on Tuesday, 14 December, 2010 by Paul.